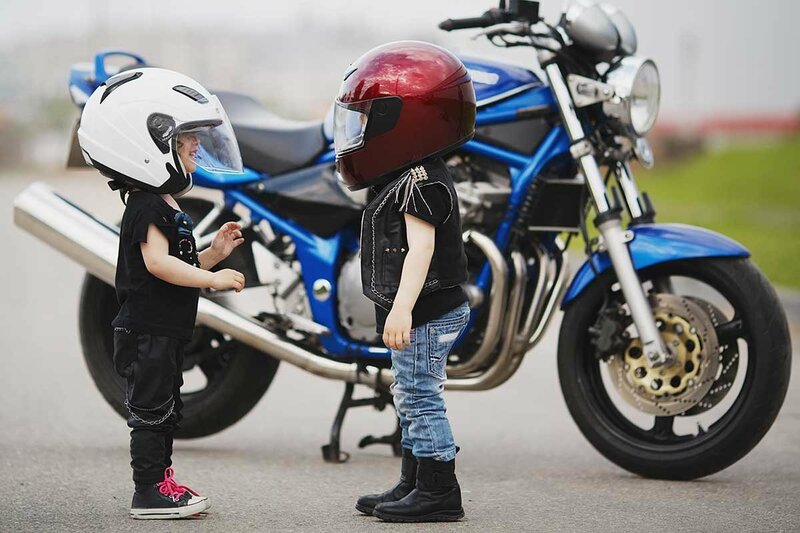 Should Kids Ride Motorcycles - What do you think? If you ask helicopter parents, they’ll definitely say “no way.” But gearhead parents and seasoned riders might have a different idea. So do the makers of the Moto Rocker, who believe it’s never too early to introduce a child to the joys and freedom of riding. How young is too young to learn to ride? Here’s our take on the debate. Parents aren’t the only ones advocating motorcycling for kids. 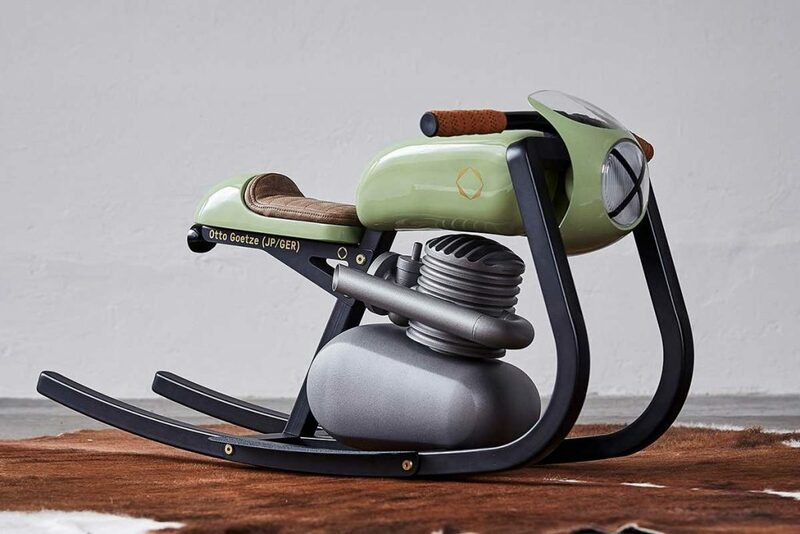 German industrial designer Felix Monza designed the Moto Rocker, a motorcycle-style rocker, for kids between the ages of 1.5 and 4 years old. The goal? To instill a passion for the ride by letting kids ride like mom or dad. seat, one-cylinder 125ccm faux engine, taillight and headlight, kids can experience the thrill in a way that’s made exactly for them. If you’ve decided your family can’t live without this rocker, it will set you back around $1599. Meanwhile, Harley-Davidson is giving kids a hands-on opportunity to dip their toes into the world of bikes at its traveling display in the Manitoba Children’s Museum in Canada. After donning a leather jacket and learning about engine parts and how they work, kids have the opportunity to get a feel for the ride by sitting on a hog in front of a viewing screen. These might seem like really cool ideas, but these products and experiences are fueling an ongoing debate about whether kids should be even riding motorcycles to begin with. 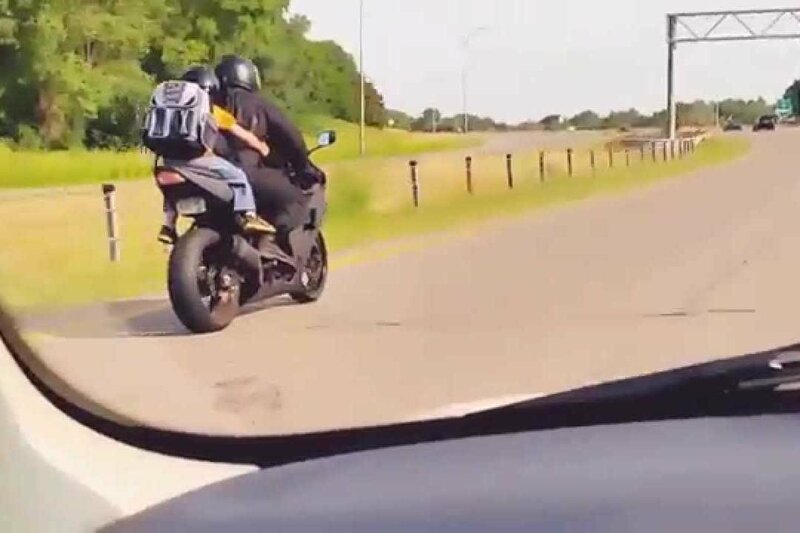 The practice of riding pillion with a child is often condemned by parents who just don’t understand the thrill of the ride. But the facts don’t like: a motorcycle accident is 27 times more likely to be fatal than accidents in other vehicles. There’s no denying that motorcycling gives you a rush and thrill at any age. But there’s also no denying that putting kids on bikes is risky business—because really, it’s risky to put anyone on a bike who doesn’t know how to ride. So what are some of the biggest reasons people cite about whether or not kids should pillion along for the ride? dangers and a better understanding of the need for road safety. Your kids can’t make a decision about their own safety at a young age. By choosing to take them aboard your motorcycle, you are choosing to put them in an unsafe situation, because motorcycling has inherent risks. And for many parents, this is simply unacceptable—thrill of the ride or not. If you do choose to let your kids ride as passengers with you, take necessary precautions to minimize the risk. Here’s some gear to keep young riders safe and sound. Helmet: The risk of dying from a head injury after an accident increases by 40% without a helmet. Get a child-sized, full-face D.O.T. helmet with a chin bar and hard foam in the shell. It should fit snugly over their head and face. Knee guards and motorcycle gloves: These can help prevent deep scratches and abrasions, should an accident occur. A good jacket and heavy pants: Think leather or denim. This protective gear can help prevent abrasions and protection from the wind. It also looks pretty cool for the kids. Shoes: Buy them shoes that won’t fly off, and be sure the laces are tight to avoid them getting caught in the chain. If you choose to ride with kids, you should always check out the motorcycle laws in your state for young riders. You can find a chart here. Where do you weigh in on kids riding motorcycles? How young is too young to have them start riding? We provide you with $7,000 of insurance for each shipment, with “Zero” deductible. Additional coverage is available for only $7.00 per $1000 of value. Ship safely with Motorcycle shippers.